I finally caved in and bought my makeup organizer and boy, was I in for a treat! I've been putting it off for soo long (months and months of indecisiveness) but I finally took the leap and got myself this! As someone who likes to have everything organized (I shalln't call myself "OC"! ), this is definitely a great solution to keep everything arranged and tidy. Ever since I have started getting serious about makeup, the hunt began for a system to organize them too. There are a few acrylic case options in the market, but I chose Muji because it's readily available here in Singapore. With my new organizer, everything now is better-organized. 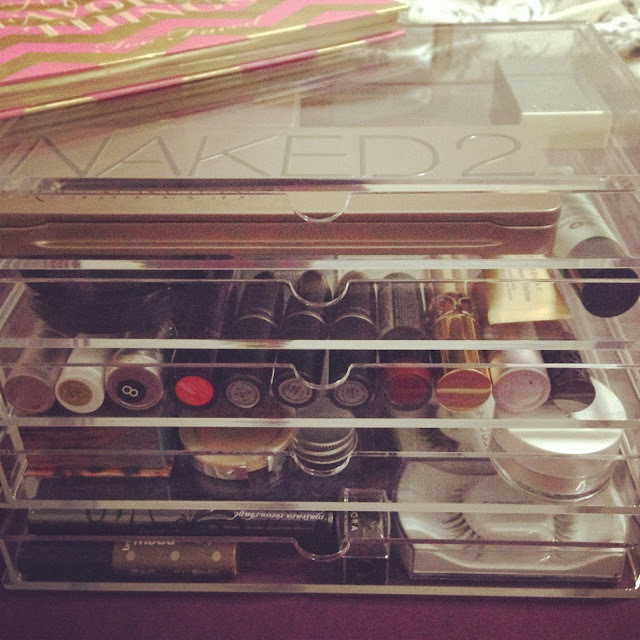 It comes in a see-through acrylic case so I can easily see my makeup and selecting the products to use would be a breeze. And well... you have to admit, it's great to showcase your beauty products too!